W.F. Hann & Sons has been serving the businesses and residents throughout the Greater Cleveland Metropolitan Area and Northeast Ohio with unmatched air conditioning, heating, plumbing and ventilation services since 1907. We are distinguished for providing incomparable efficiency, unequaled productivity and enhanced temperature control. Additionally, W.F. Hann & Sons is renowned for certifying its clients’ comfort, safety and the effective operation of their AC repair, AC installation and AC service. Our AC repair work and upgrades will be customized to your specifications in order to deliver the most exceptional performance levels. W.F. 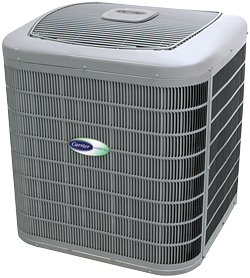 Hann & Sons will offer the appropriate AC repair, AC installation and rectify any AC service failures. Malfunctioning cooling or heating systems can actually be very harmful to your family or your employees if they are living or working an environment that is using out-of-date and ineffective cooling or heating systems. Consequently, if Lakewood homeowners and business owners are in the market for the best AC repair, AC installation or AC service, the only name they need to know is W.F. Hann & Sons. W.F. Hann & Sons is located at 26401 Miles Road in Warrensville Heights and is approximately 20 miles southeast of Lakewood, Ohio in Cuyahoga County with more than 50,000 residents. Lakewood homeowners and business owners understand that if they are thinking about new AC installation, they can always rely upon W.F. Hann & Sons’ NATE (North American Technician Excellence) certified technicians for all of their needs. Also, when Lakewood clients require AC repair work, they know that each of our AC service technicians is able to deal with any of their AC service needs. The W.F. Hann & Sons professionals possess the ability and talent to address its Lakewood clients’ AC service at an affordable price, saving them money and energy. In fact, not only will W.F. Hann & Sons meet the expectations of its Lakewood customers, but they will regularly surpass them. W.F. Hann & Sons is matchless in its commercial and residential AC repair, AC installation and AC service. Our clients come first in everything we do. We have only the most highly-skilled professionals who are factory-trained industrial technicians, licensed, insured and who will only work within the constraints of your schedules, but they will also protect your property by wearing foot coverings, using drop cloths, disposing of debris and removing all of our AC service equipment. With W.F. Hann & Sons high-tech AC service, you can count on receiving the most exceptional AC installation, AC repair and AC service maintenance from us. In order to schedule an appointment with one of our experts, call W.F. Hann & Sons at: (216) 831-4200, today. For any emergencies, we can be reached at the same number 24/7.